On May 21st, Church and State moved a little further apart in Norway. The reality is not as dramatic as many of the international headlines stating that Norway has disestablished its State Church, but it is a major step towards the ultimate goal of completely separating the Lutheran Church of Norway from the Norwegian State. The move by the Storting, the Norwegian parliament, changes four paragraphs in the national constitution. As a result, Norway will now have no official religion, the government will not participate in the appointment of church deans and bishops, and there is no longer a requirement that at least half the ministers in the government belong to the Lutheran Church. Welcoming the development, Norwegian Humanist Association (NHA) president Åse Kleveland said, “This represents a breakthrough for the views of the Norwegian Humanist Association, and will make it easier for a future separation of church and state”. 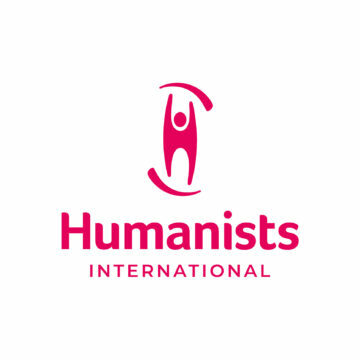 The Norwegian Humanist Association, a leading member organization of the International Humanist and Ethical Union (IHEU), has almost 70,000 members out of a total population of around 5 million. Even though the new arrangement is a big step in the right direction as NHA sees it, it is far from a complete separation of church and state. The constitution still requires that the Norwegian monarch, who serves as head of state, must be a member of the Norwegian Lutheran Church. But the old constitutional requirement that the monarch “protect and maintain” the state religion has been dropped. The Lutheran Church is still going to be regulated through a special law—the church law—not through the same law as other religious and life stance communities. The Lutheran Church will still have the responsibility for all funeral management in Norway, as it also is today. The Lutheran Church will still receive support from a “church tax”, and other religious and lifestance groups, including the Norwegian Humanist Association, will continue to get financed to a similar amount per member. There will still be a Lutheran Church department in the government, and a government minister who is going to have the responsibility for this department. It will still be the state which has the employment responsibility for priests and church employees. The requirement that employees in the department’s church department, along with the minister, have to be members of the Norwegian church, has however been withdrawn. The state will also not give the church the ability to become an independent legal entity, which the church itself wants. Thus the church of Norway will still be the same legal entity as the government, both on a national and the local level. The constitutional changes came into effect immediately upon being enacted in the Storting.